I begin my post with these word for one simple reason — I read them in a book by William Hart entitled The Art of Living: Vipassana Meditation as Taught by S.N. Goenka. The book has been sitting on my shelf for a handful of years entirely unread. I had tried to read the first page a number of times, but for some reason couldn’t continue. And then…just at the right time, I have found myself devouring it. 1. I need to deepen my friendship with myself. 2. I want to become more compassionate. 3. I need to let go of some things in order for the next chapter of my life to evolve. 4. I want to deal better with suffering and loss. 5. I need to reconnect with my true purpose and inner truths. The list could go on and on, but these are my main goals. So, Sir Goenka created a meditation philosophy and technique that at one point requires you engage in a 10-day silent retreat. In the process you burn through your mental garbage — limited perceptions and the dramatic stories we tell. One of my best friends has done it twice. The first time PJ dared to experience the process, he said the first day of complete silence freaked him out. As the ten-day period progressed, he dove deeper into the pains that he had suffered in his life. His failed marriage, his relationship with his parents, failed business pursuits, and the list goes on. In his silence, he would all of a sudden find himself sobbing as he relived moments. He forgave himself and others for mistakes made along the way. He sat on his mat and he experienced complete mental silence. And so yesterday it was September 25, 2013 — strangely, it is almost four years to the day that my friend told me about his experience. And I’m finally ready to experience the process myself. What I’ve learned so far is that I am the possessor of a mind (and you too) that has so much potential. But, before we experience our full-potential, we have to become friends with ourselves. “Become an island unto yourself. 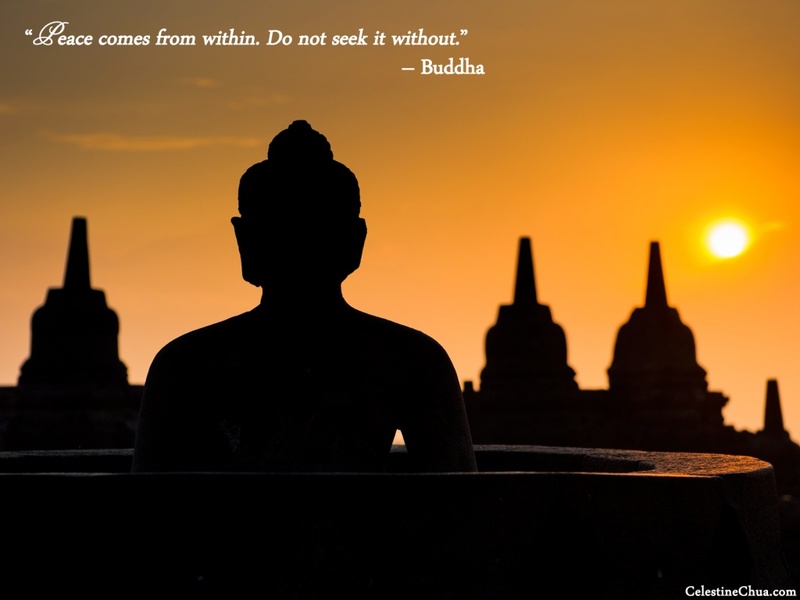 Strive hard and become wise,” Hart quoted Buddha within his book. This doesn’t mean that we abandon those we love. It means that we seek to become healthy and whole, which will enhance our relationships with others. True satisfaction in life can’t be attained through obtaining massive riches, experiencing “the right” relationship, reaching the greatest of goals, etc. This comes when we are OK with silence…a personal friendship with ourselves…and the truth that lives within.